To prognosticate is a stupid indulgence of the ego. On the other hand, it is also true that making predictions is an essential step in economic planning for the future. Why bother with predictions when one is not an economist? The answer is that it is helpful to have a view of where we are at in the business cycle in making investment decisions and not just responding in an ad hoc way from day-to-day. The ASX 200 is a good barometer of the Australian market based as it is on the share-prices of the 200 largest companies by capital index. Its movement is independent of the less predictable speculative segment of the market, important though that market is. 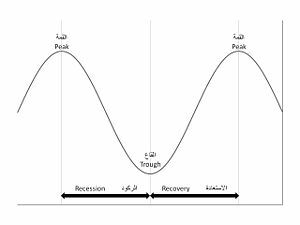 Where are we at in the business cycle? One business cycle seems now to have finished. We had five years of a bull market between the beginning of 2003 and the end of 2007. The five years since started with the global financial crisis of 2008, the nadir of which came in March 2009 when the XJO hit 3073. A second leg fall found support at 3677 in August 2011. Undoubtedly we have experienced the gloom of being at the bottom of the market cycle, with hardship for many. In the last six months confidence has started returning to the market. Buyers have snapped up bargain priced securities, lifting the XJO from 4000 to finish the year around 4600. The return of money to equity markets is positive for 2013. One is now looking for an improving economy, higher employment, and increased company profits. Undoubtedly this will not occur uniformly across the board, but it is a good time to invest since the lessons of the GFC on the dangers of corporate greed, and excessive debt, are still fresh in everyone’s mind. The time to be nervous is when the bulls are rampant again, and frugality is forgotten. All believe that the good times will never end. That will be the time to plan your exit from the market. The XJO has re-entered a trading range between 4600 and 5000. If the 2013 profit season is favourable, one would expect the XJO to break out above the 5000 range. The next target would be at resistance at 5400.